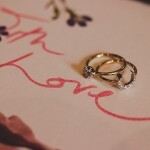 Home > Engagement Ring > Unique Sapphire Engagement Rings: An Interview with Eidel Precious! 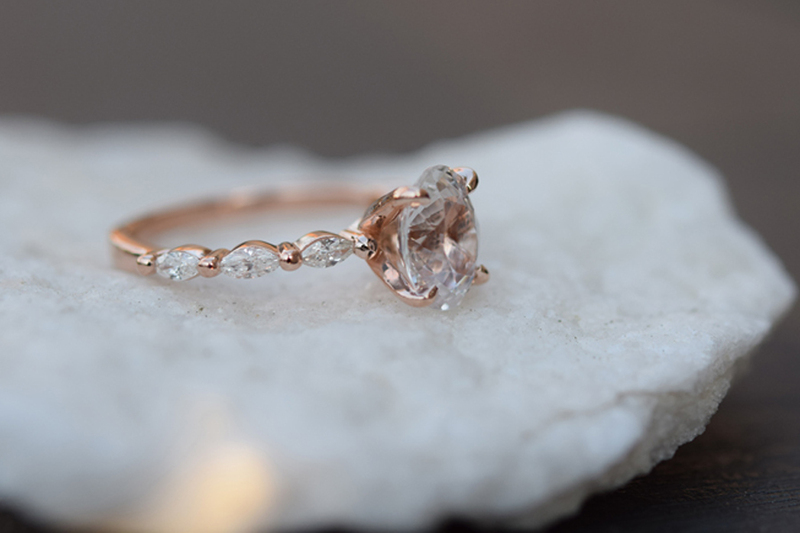 We are huge fans of Eidel Precious here at WTW, so it is our absolute pleasure to share with you an interview with this incredible engagement ring designer. 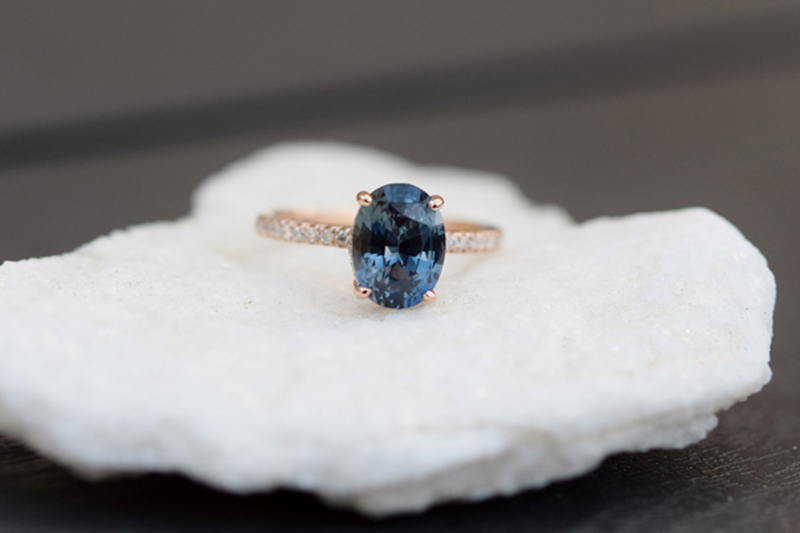 Renowned for their beautiful, coloured sapphire engagement rings (that are so gorgeously unique), we get to know a bit about the process, design and inspiration behind these one-of-a-kind rings. How did you get into jewellery making? I have always been very creative and had a passion for coloured gemstones. After working for a few years in a research lab, I decided to take a year off and went to college to learn how to make jewellery. Once I started, I knew I would not go back to my day job. I opened my first shop on Etsy 10 years ago, and we grew into a well-known brand. 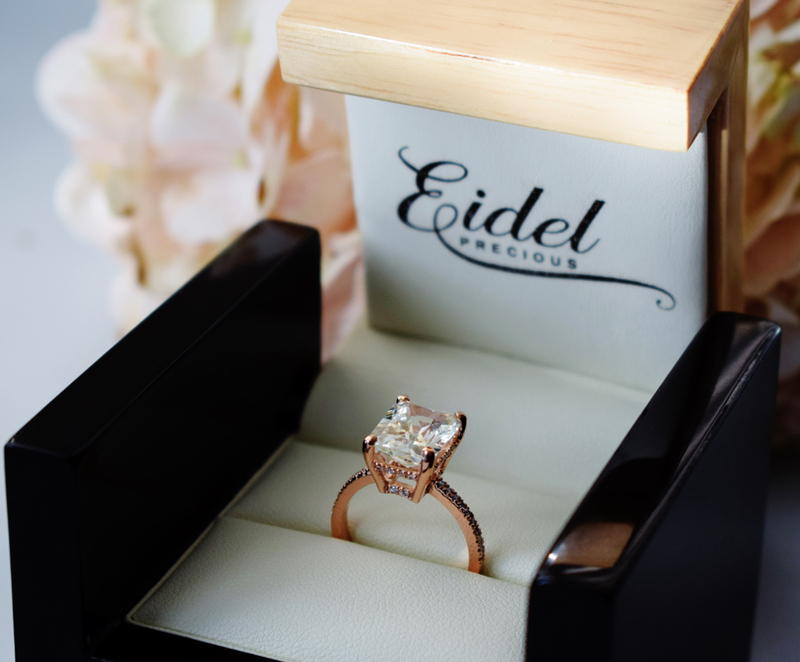 Statistically, a girl gets proposed to with an Eidel Precious engagement ring every day! How would you describe your design ethos? Whatʼs the story behind your collections? And what makes them unique? I try to make every engagement ring classy and unique at the same time. Our early designs were based on iconic models, like Tiffany`s Circus. My first ring, Eidel Precious Signature, incorporates Fleur de lis – a symbol of France – it’s very meaningful for me, a reminder of my youth years spent in Paris. One of my latest model “Godivah” features a solitaire in a marquise diamond setting and named by associations. A word “Marquise” has 3 definitions: a chocolate dessert (Godiva chocolate), a noblewoman (Lady Godiva), and a shape of a gemstone (Godivah setting). 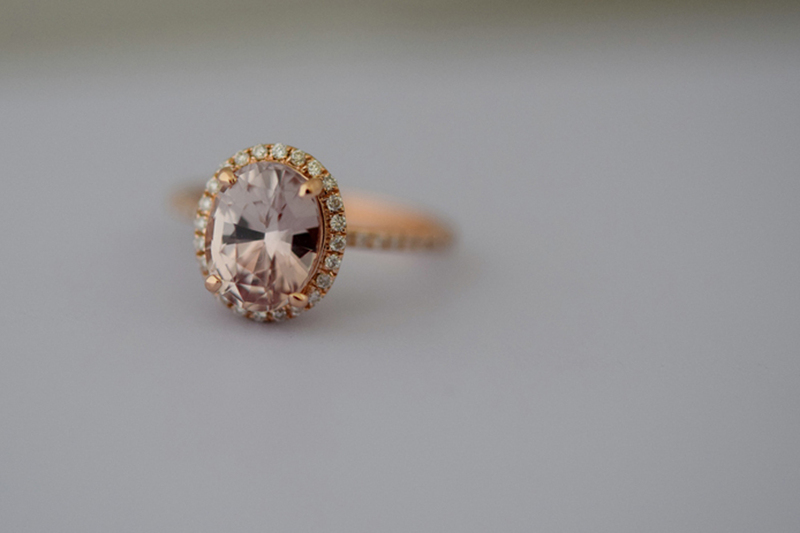 Eidel Precious is famous for Sapphire engagement rings in Rose gold. We bring a lot of unusual colours of sapphires to the market. 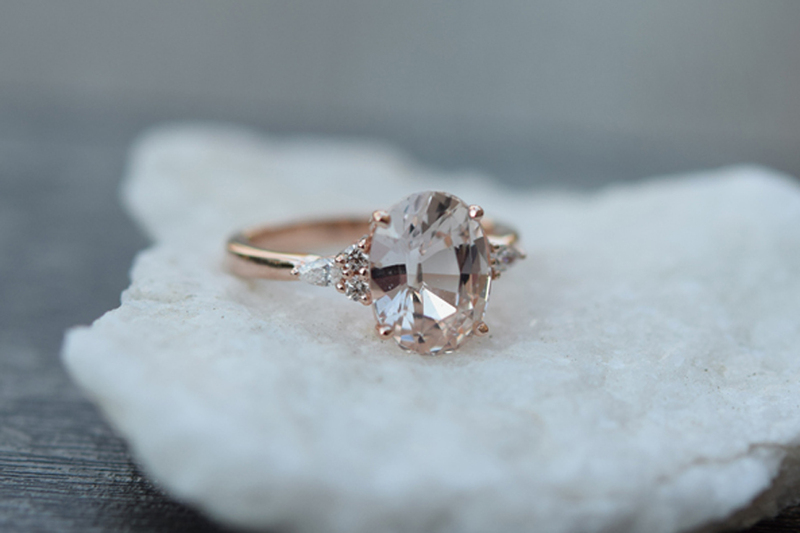 What/who are you inspired by when designing engagement rings? I am inspired by every gemstone and try to make a setting that fits every gem`s “personality”. My favourite stones to work with are sapphires, they are so diverse and unique! What materials do you choose to use in your ring designs and why? I like to work with Rose gold. 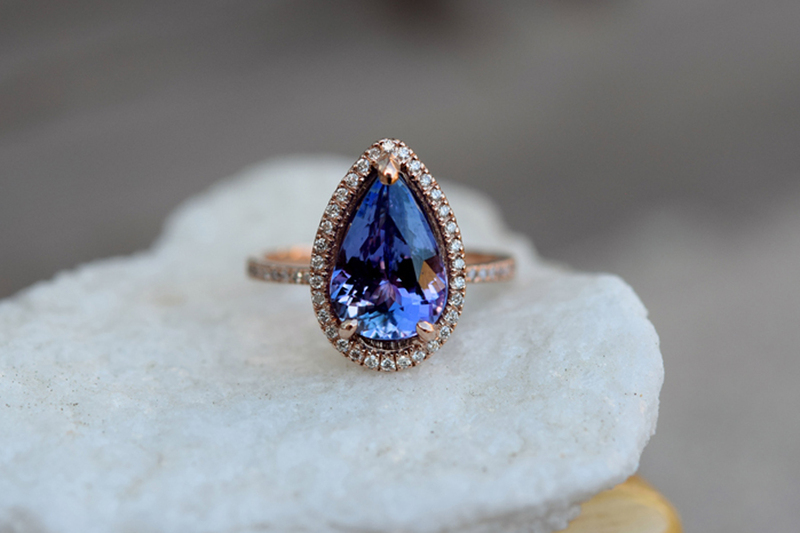 It helps to bring out the unique hue of Peach sapphires, Champagne sapphires or Peacock sapphires that are a staple of Eidel Precious. I use white gold or Platinum for Ice blue sapphires. Sometimes, I use Yellow gold. The choice depends on every particular stone. What kind of woman do you envisage wearing your designs? My engagement rings suit women who like to be different and unique like the one-of-a-kind gemstones I use for my rings. Non-traditional brides love our jewellery. Are you working on any new designs at the moment? 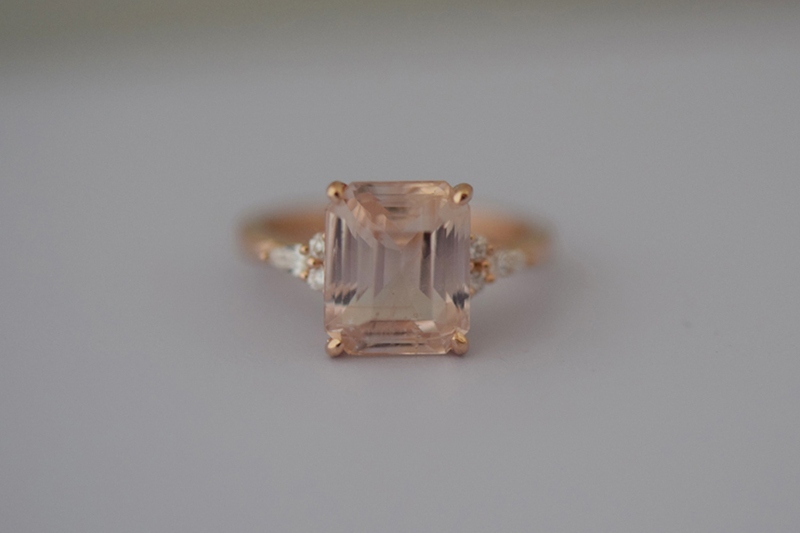 I am working to expand my collection and create some pieces of jewellery that match Eidel Precious engagement rings. I often get requests for matching earrings or necklaces as anniversary gifts. Whatʼs your favourite ring from any of your collections? I love too many, I can`t narrow down my choice to one. 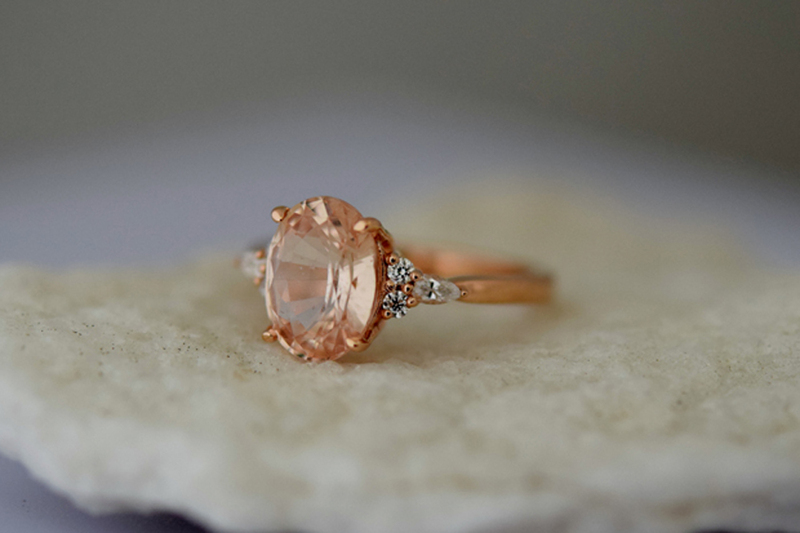 Do you have any tips for brides or grooms looking to purchase an engagement ring? There are a few tips and tricks. 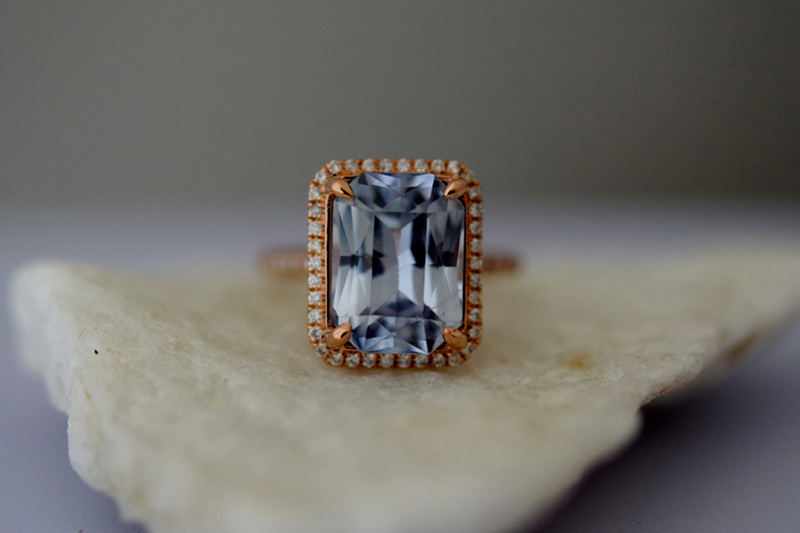 If you would like the ring to look more substantial, a design with a Halo visually would make the stone look bigger. 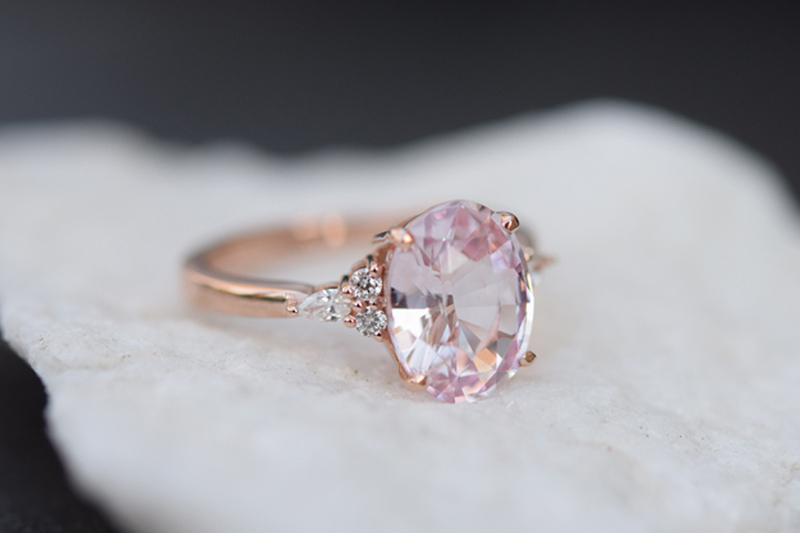 Oval stones or Pears make fingers look longer, while a princess cut or a square has the opposite effect. Describe the day in the life of an engagement designer. I do not have a fixed schedule. Some days I spend more time in the workshop, some days I am busy communicating with customers or suppliers. But every day for sure involves a lot of multitasking. Thanks so much for taking time out of your busy schedule to answer these questions. We are massive fans of your unique engagement rings here at WTW. 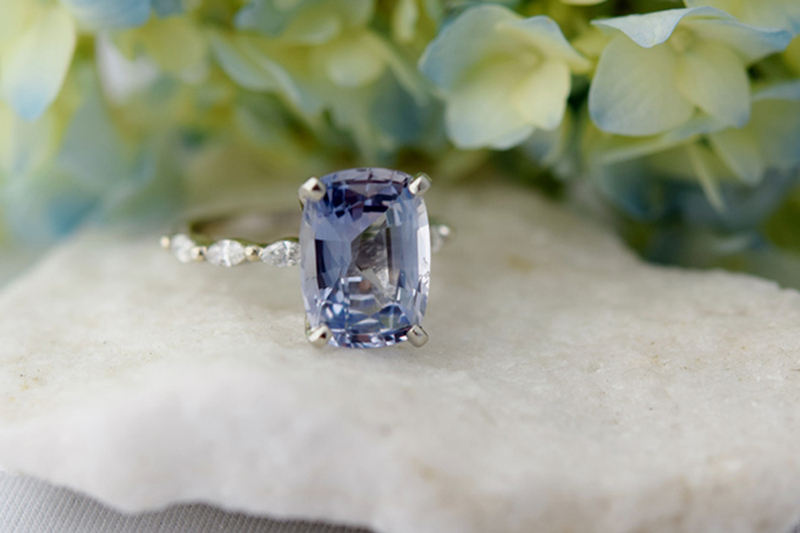 To work with Eidel Precious on purchasing your unique sapphire engagement ring, follow the link and get in touch now.